When we think of a traditional classroom, we often think of only two of the five senses – sight and sound – being used for learning. Students sit in their desks, and they hear and see the teacher at the front of the classroom, writing on the board or giving instructions. The students may then write down notes or copy what’s on the board, helping to reinforce both the audio and the visual components of learning. However, what about the three other senses of smell, taste, and touch? 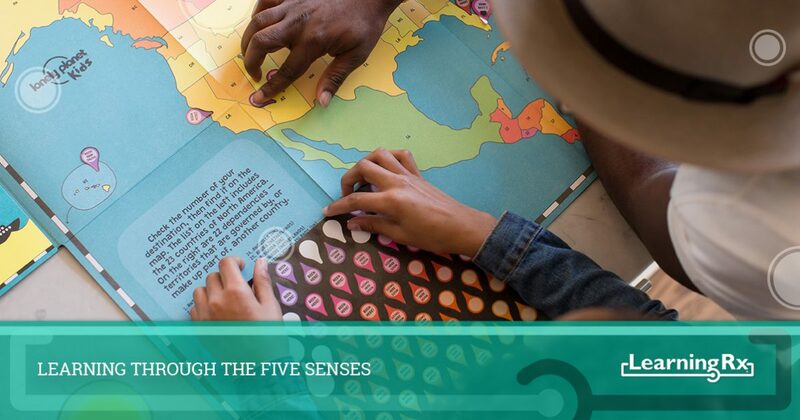 At LearningRx, we want to help students become better learners, and the five senses are what provide the brain with the signals to recognize a certain object, a certain smell, or a certain sensation. While our brain training programs rely mainly on sight and sound to improve cognitive skills, there’s always room for all five senses when it comes to learning! Children often begin their learning experience through sight, recognizing shapes, numbers, and colors at an early age. 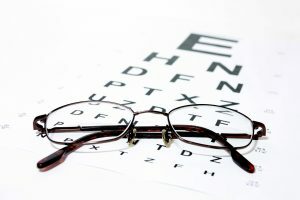 As light enters the retina, the rods and cones translate the light into nervous signals that are carried to the brain. The brain then forms images, and the person’s memory stores the images. If a student is struggling with working memory, then it could be difficult for them to recall what they’ve seen, even if it was just a few minutes before. Auditory processing is one of the seven main cognitive skills that we focus on, and if a student has trouble with spoken instructions, then this can be the main target of their brain training. As sound waves enter the ear, the bones and fluid inside the ear canal translate the waves into signals that the brain then processes. This information is then stored, to be recalled when necessary. Sound is a very important part of the learning process, especially in subjects such as phonics and foreign languages. The sense of smell, or olfaction, can be a very strong learning tool, especially in subjects such as chemistry where the chemicals cannot (and should not) be tasted or touched. A certain smell, such as a specific food or a specific type of perfume, can also conjure strong memories that a person associates with that smell. As chemicals in the air enter the nasal passage, the nerve receptors on the cilia send signals to the cerebral cortex, and the brain processes the signals into information. While smell may not be used in a learning environment very often, it can be a very strong educational tool. Taste has its place in learning, especially in classes that involve food. A culinary or home economics class will include tasting at one point or another, and the sense can be a great way to inform whether or not a student is on the right track. They will have received instructions from the teacher on how a food should look or taste (either through visual or auditory information), and the only way to know if they’re correct is to taste their food. The papillae (the bumps on the tongue) contain taste buds that send nervous signals to the medulla oblongata. The medulla sends the signals to the cerebral cortex for processing, and the brain will register whether the taste is familiar or new, and if the taste is “correct” or not. A student who works with their hands will rely strongly on their sense of touch. 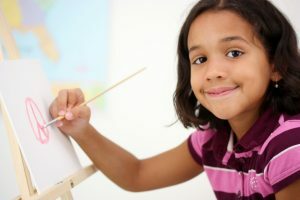 An artist or a craftsman will need to know how to hold a paintbrush or a tool in a certain way, and they often learn this through visual and auditory learning. However, until they’re holding the brush or touching the material for themselves, they don’t get a true sense of how the process is to be done. The touch receptors in the skin detect different levels of pressure and vibration, and the brain translates these signals into stored information. The next time the student picks up a paintbrush or a tool, they’ll remember how to hold it properly, and how hard to push or how to manipulate the material with which they’re working. All five sense can be used in learning, and when it comes to education, the one thing they have most in common is memory. Whether a student is given written instructions (sight), spoken direction (sound), a certain aroma (smell), a specific flavor (taste), or a distinct sensation (touch), the memory is what recalls the information concerning that sense. If the information is new, the brain has to process and store that data for the first time. If the information is being repeated, the brain must recall what it knows about the data from previous encounters. At LearningRx, our goal is to help students become better learners by being able to access more of their brain power. By improving cognitive skills such as working memory and long-term memory, a student can access information more quickly, and retain new information better than they could before. If you’re interested in discovering more about our brain training programs or our education franchise opportunities, then please contact us today. You can reach us at (719) 955-6708, or you can use the form below and a member of our team will contact you as soon as possible. We will provide you with all the information you need, and can help you make the best decision regarding your future.